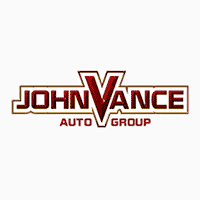 If you are looking for a new or used sporty Ford Focus and live anywhere near the greater Oklahoma City metro or Edmond area, it is so worth it to make the quick drive north on I-35 to Vance Country Ford in Guthrie, OK. Don’t let the small town name fool you; we have a big city inventory and Vance Auto Group has been faithfully serving Oklahomans for over thirty years. We are just 10 minutes north of Edmond, OK and 30 minutes north of downtown Oklahoma City, OK. Come discover why we are so highly rated in customer service. We want to make your car purchase a great experience. The Ford Focus is sporty and eye-catching yet offers great performance and functionality at the same time. While we all have to drive, it might as well be fun doing it. With so many bright colors to choose from, you’re going to have a hard time choosing. Experience the driving dynamics of the Focus. Standard Torque Vectoring Control is designed to help the front wheels grip and steer better as you go into corners or drive in slippery conditions. Other features include electric power-assisted steering (EPAS), Active Grille Shutters* and the six-speed PowerShift automatic transmission or available SelectShift® six-speed automatic transmission. The Focus will seat up to five passengers and gets 25 MPG in the city and 34 MPG on the highway. Check out the safety points including the driver-assist features that make your drive more convenient. For example, thanks to a camera and sensors mounted at specific locations on the vehicle, you can be aware of other vehicles and objects that are beside and behind your vehicle. Other available features include the Reverse Sensing System, BLIS® (Blind Spot Information System) with cross-traffic alert, Lane-Keeping System, active park assist and SYNC® 3. Stay connected as your drive with Apple Car Play and Android Auto. Use the Smart USB charging ports. Try the Intelligent Access with Push Start. Do all this in the luxury interior that makes you feel at home even away from home. Come see us at Vance Country Ford in Guthrie, Oklahoma and discover how neighbors treat neighbors while looking for your next new or used Ford Focus.